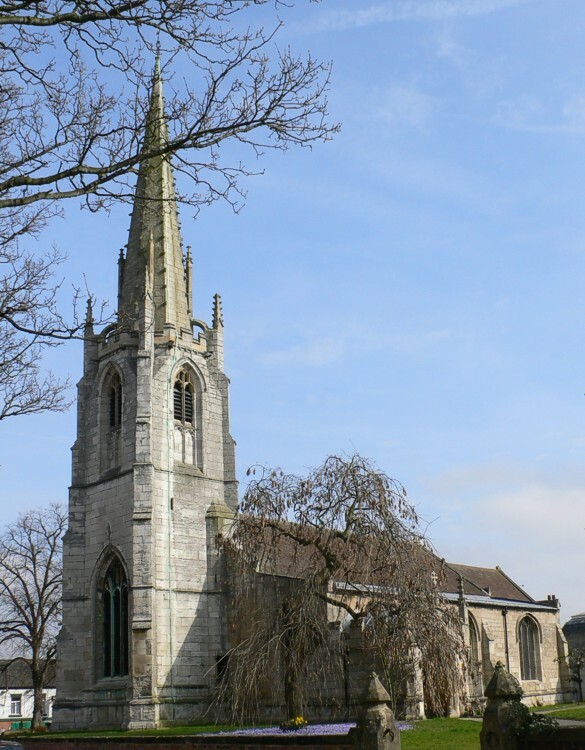 The building consists of a chancel with vestry, nave aisles, north and south porches with a tower rising into an octagon with pinnacles, a lofty spire, and 6 bells. Arcades of five bays divide the nave and aisles. The chancel arch of fine proportions springs from clustered shafts with carved corbels. The north aisle externally Decorated, the south aisle and south arcade Perpendicular. 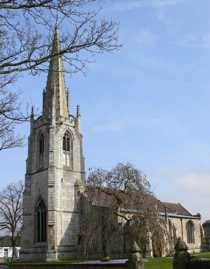 The ashlared square tower and splendid octagonal spire are of the 14th century. The church was re-roofed in 1686. The north aisle was added in 1863 when the south aisle was heavily restored and the chancel rebuilt. The chancel was extended in 1890 and a new reredos installed. In 1899 Hodgson Fowler added the chancel screen. The pulpit, choir stalls, reading desk and lectern are of oak, providing a richly furnished interior full of atmosphere. The great attraction is the crocketed needle-shaped spire with one tier of lucarnes, the most remarkable feature being the broach. St Michael’s is a celebrated Anglo-Catholic shrine, with an exquisite and rare Father Henry Willis organ.